Since we are talking about childhood hobbies that I figure I weigh in. Feel free to skip this one unless you are really interested in aviation. More specifically propeller aircraft. I like to think that I know a few things about military aviation and then I find something new. One of the main aircraft that I caught my attention is the Avia S-199.. This aircraft got my attention because it is a Me-109 version that was used by Israeli Air Force the First Squadron. Did a little reading on it and found out a few facts about the aircraft that I did not know. Like the fact that they used the engine of the He-111 bomber. One would think that having a bomber engine would have improved performance similar to the F4u Corsair. Well not so much. The Daimler-Benz DB 605 engine allowed for a central cannon mount (Motorkanone in German) that fired through the propeller spinner. This was not possible with the Junkers Jumo 211, and so the S-199 used a version of the Luftwaffe’s Rüstsatz VI modification kit, which consisted of a pair of MG 151 cannon, one each in a gun pod, one beneath each wing. This further impinged on the aircraft’s performance. 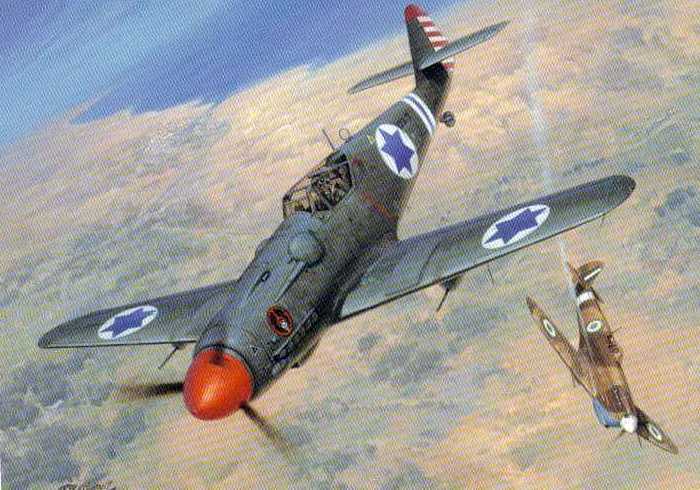 A final hidden danger lay in the gun synchronizer for the cowl-mounted MG 131 machine guns, which did not work as it was meant to, leading a few Israeli aircraft to shoot off their own propellers. But the interesting part is that the Avia S-199 was used in combat against Egypt Spitfires. So we have Jewish pilots using German aircraft against British Spitfires which is the Icon of the Battle of Britain. Strange huh? Oh it gets better. This one is about the F4U Corsair and theP-51 Mustang . One of the biggest things that has been debated about which fighter is better considering their history in World War Two, Korea and onward. Well it seemed like the two did go head to head against each other in what is known as the Football War. In this case it looks like the F4U Corsair came out on top in 1969, twenty five years after the last dogfights of WW2 there were still dogfights with proper aircraft? Strange indeed. The IAF nicknamed this air craft the mule. If you are interested the engines in German WW2 aircraft used the power egg concept where the engines were easily exchangable over a number of aircraft. This made hybrids like this easy to build. A lot of ME-109 models were produced without the central cannon. I have never found out why this was done but I have seen info that indicates that air from the central crankshaft bore was used to cool the generator. Didn’t some of the S-199s used by Israel have the inverted Junkers V12 engine? I forget what the name of it was, but I don’t think it would take the central canon. I thought that all Me-109 Variants had the center engine cannon. All the planes that the IDF got were Avia S-199, the S-99 version had the correct engine be were never exported or produced in large numbers. I remember landing in Oporto, Portugal in late 1977. I was part of a crew tasked to take a P-3b Orion from our squadron up there for some structural work. As we were rolling out on landing, I was looking out the starboard aft observation blister and there was this line of Heinkels and Me-109’s parked there. The 109’s were the variants made post-war with Rolls-Royce Merlin engines, and all of these aircraft had been used in the “Battle of Britain” movie. One of the most surreal things I’ve ever seen. I believe that from what you said that both type of aircraft were the license built versions of the He-111 and Me 109. The names are CASA 2.111 and HA-1112 which were still being used in Spain. Because of that the Spanish version of the 109 is used in most WW2 movies. You can tell the difference because the Spanish version air intake makes it look like the aircraft is smiling. Offered as completely annecdotal evidence here: The argument over whether the Mustang or the Corsair was “better” raged for many years. The Corsair seemed to win a slight edge in most discussions I heard among those who actually flew in combat. Many said that they actually enjoyed flying the Mustang more however. So I pretty much concluded that they both were terrific aircraft. Both are good aircraft but I assumed that they would only face each other as a “what if” rather then a real event. Well with the P-47 was cool too, but it was a fighter/bomber that wanted to be a intercepter. Which both F4U and P-51 were made for as their main role. Another good aircraft, but because there is not any recorded use of the P-38 in a dogfight post WW2 it goes into the grey area of “what if match ups” were it is hard to say what would happen. But I do know that per my Grandfather said that he was transferred from going to a P-38 unit to a twin engine bomber unit once the P-51s came out. True. Plus they kept tinkering with the P-38, trying to make it into some sort of uber-ground attack plane…they even had one prototype that mounted twelve .50cal machine guns and another that used a crummy anti-tank gun (which didn’t really work very well). One variant of these old warbirds I’ve always found interesting is the P-82, the “Twin Mustang”. It had a few of the first air to air kills during the Korean War. Kinda weird looking if you’re a fan of the P-51, but cool nonetheless.